Ever since I got my 01 Aurora with automatic wipers I thought there had to be a way to make this work on the Riv. Well the good news is that it is doable and is really not too difficult to mod into the car. The best part is everything is factory parts and looks original when done. For those who don't know what this system is or what it does, it's an option on mid to late 90's Caddys, Park ave's and other GM cars that would automatically work the wipers based on how much moisture it sensed on the windshield. I don't know why GM left it out on the Riv (and so many other cars), but it's a neat feature. 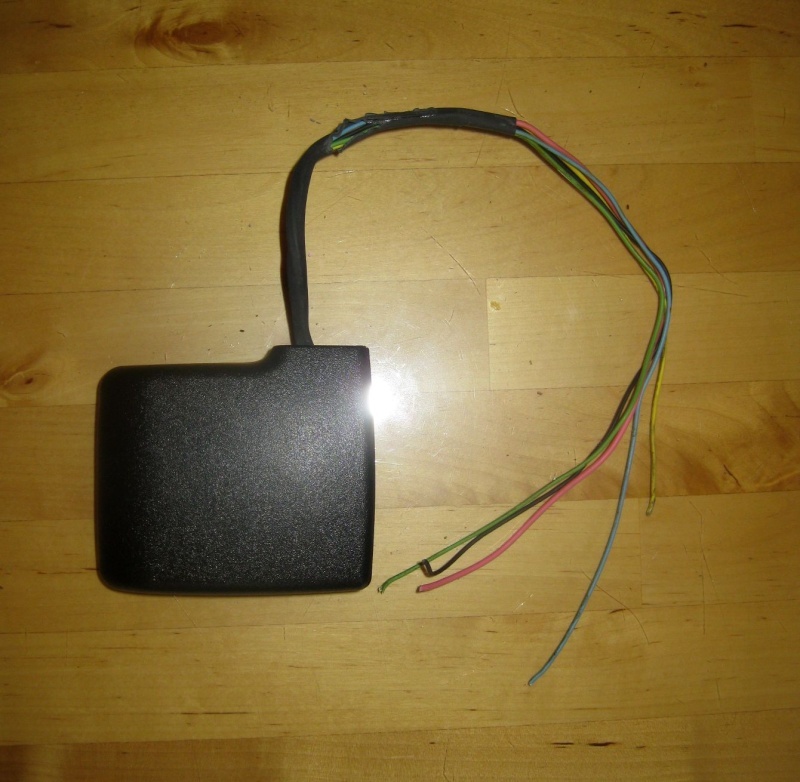 Rain sensor that sticks to the windshield out of a mid to late 90's Cadillac Deville and concours. You can spot them easily as a black box to the right of the rear view mirror. They might take some fighting to remove off the glass, a hot summer day helps a lot. Prying should be avoided as it can damage the optical sensor or the casing. Grab the wire along with it up to the head liner. 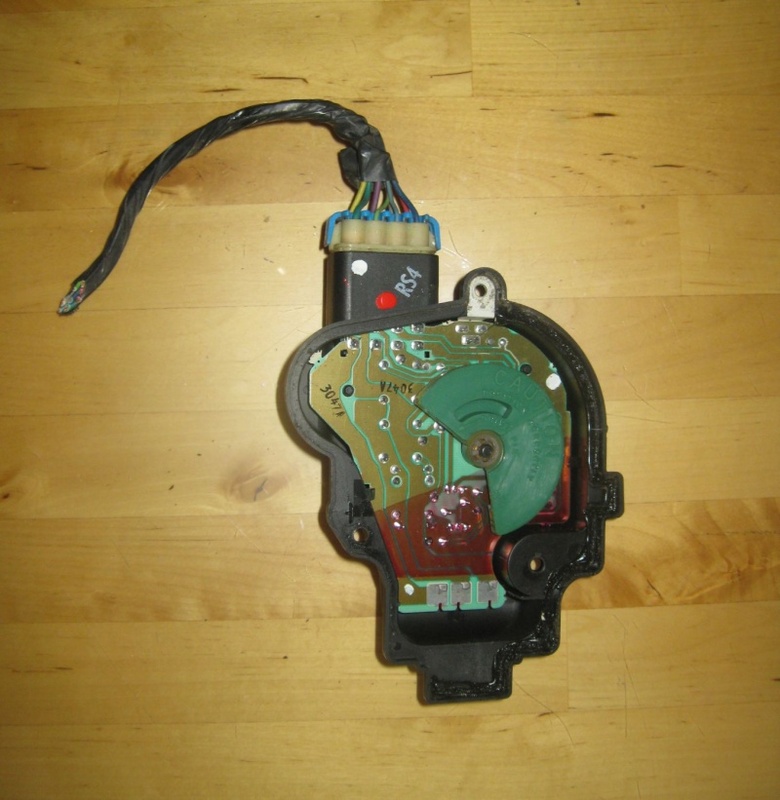 Wiper control module. 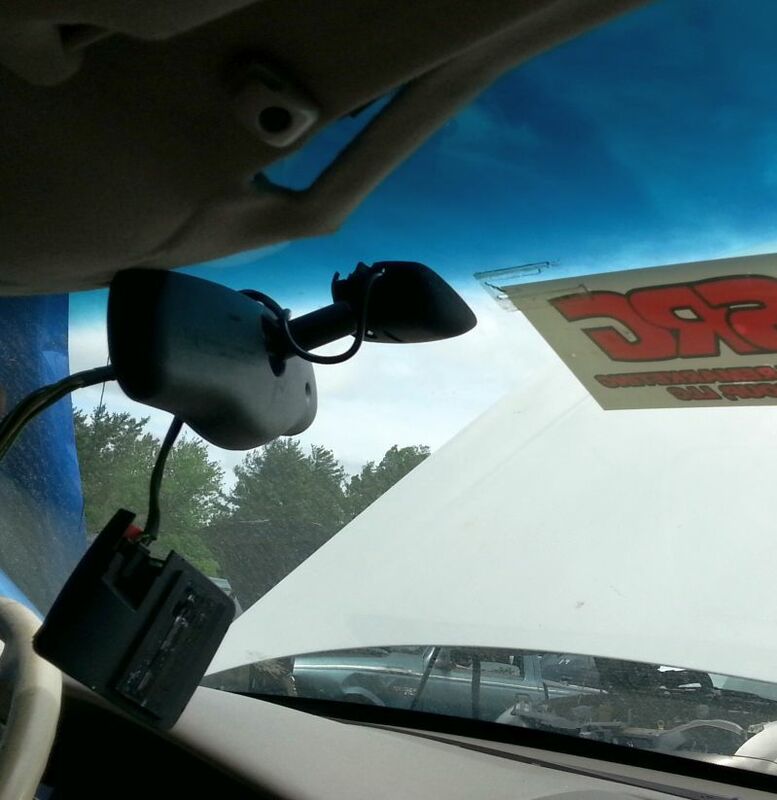 These are mounted on the wiper motor itself. The Deville one is identical in shape to the Riv's and bolts right on. Take a look at the pics and make sure it looks the same. The one from the Park avenue is completely different and will not work. Other GM vehicles may have them, but I have not come across them yet. Make sure to grab a good length of wire with the connector. GM Rainsense cleaning kit. This comes with the tape, primer and alignment tool to properly adhere the sensor to the windshield. You have to use their adhesive, this will not work without it! I'll post a PN when I find the box. Once you collect everything, it's time to get to work. First part is mounting the controller on the wiper motor. Take the 3 torx bits off and remove the cover. Not the position of the wheel on the circuit board and make sure the new control box has it in the same position. Screw the new cover onto the wiper motor. Now comes the wiring. Luckily a lot of the wires are the same between the 2 modules. You'll be transferring all but the pink wire from the old connector to the new one. 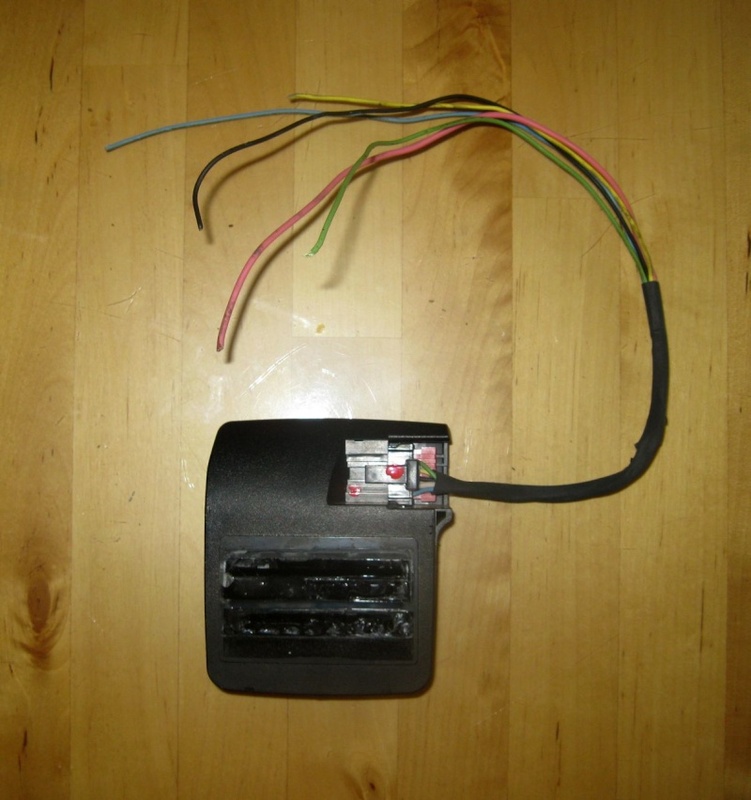 This is done by removing the clip on the back of the connector and using a pick you can release the individual contacts. Do one at a time. The connectors from the old plug will fit in the new one, but won't lock in place. Once you are done swapping them put the clip back on the back of the connector and they will be locked in place. You should be left with 3 wires left from the new connector, purple, light green and light blue. 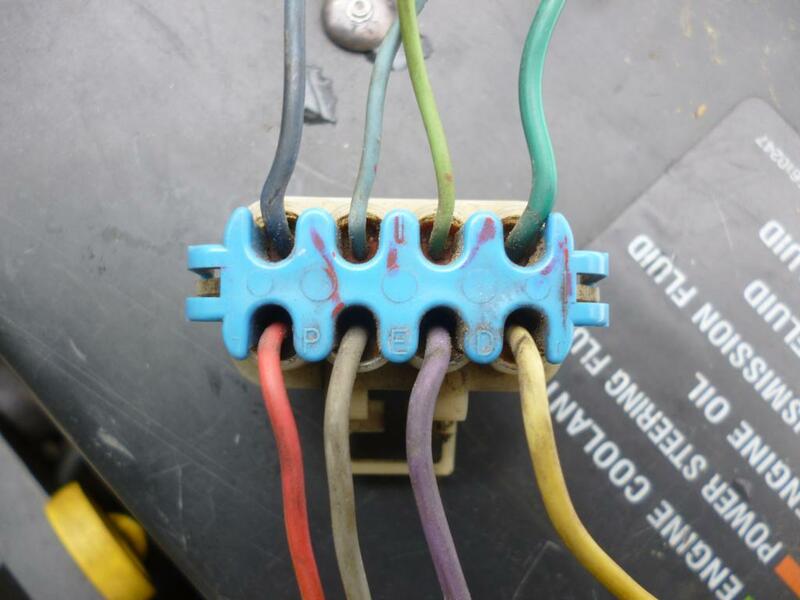 You'll also have a pink wire left in the old connector as well. The purple wire will have to be spliced into the purple wire going into the motor itself on the right. 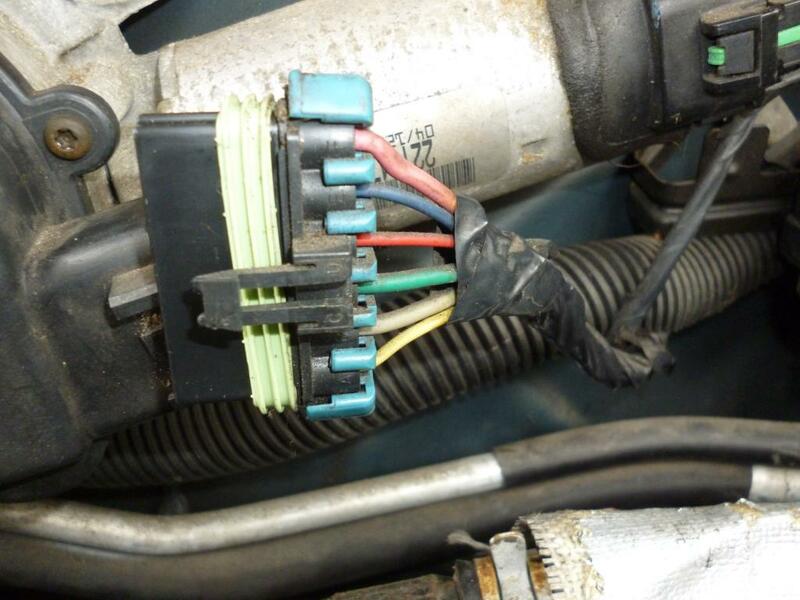 The light green, light blue and pink wire will have to be spliced into some long leads and fed into the car through the fire wall and up to the rear view mirror area. Now for the sensor wiring. I forgot to take pics of this part, but the wiring is straight forward. You should have 5 wires on the sensor; pink, yellow, black light blue and light green. 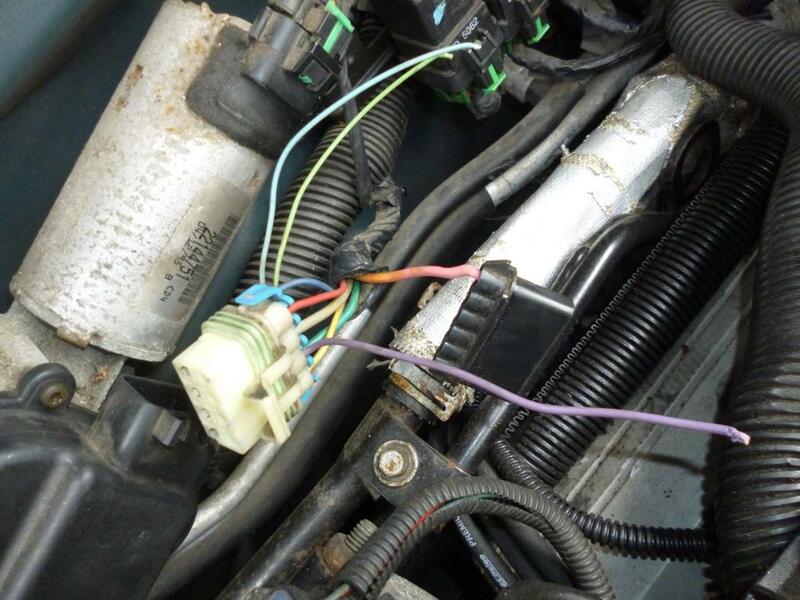 The pink, light green and light blue will be spliced in with the wires you ran from the wiper controller. 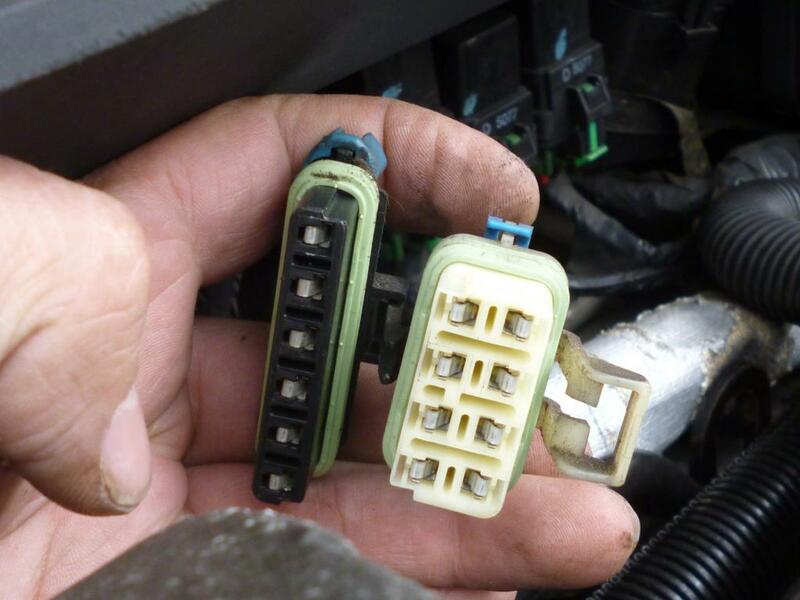 The black wire gets connected to ground and yellow goes to key on accessory power. 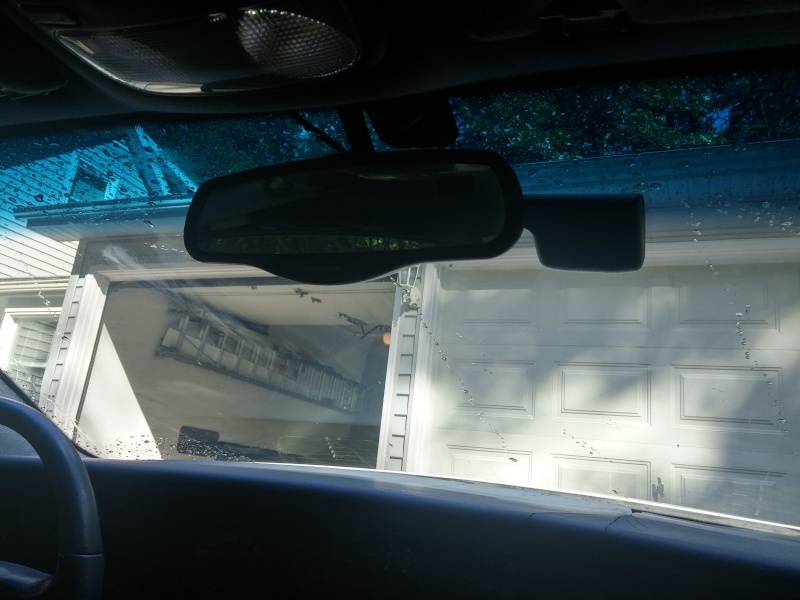 Make sure the wiring is neat as it will run up above your mirror and you will see it. Mounting the sensor should be done per the instructions in the kit. It shows where exactly to mount the sensor on a caddy, but works for the riv too. The sensor should not be visible from the driver's seat. Mounted properly it hides right behind the mirror. Also make sure the area that contacts the glass is within the wipers path. Now with everything wired up and mounted it's time for a test. Turn the ignition on and turn the wiper witch to any of the intermittent settings. The wipers should sweep once to confirm auto mode is enabled. Spray some water on the sensor (outside the car) and the wipers should wipe a few times then stop. Spraying a lot more should eventually kick them into high speed. If that works then everything was setup properly. Setting the control to any intermittent setting turns it on auto from now on, slow and high still work manually. Awesome job and writeup! I'm always surprised that the Riv did not get this option. I was impressed with how well it worked on my folks '98 PA. I'm surprised they don't still use it either. BTW your pictures aren't working. Just broken links to me. Photobucket added a url to the img code for some reason, should work now. I was surprised when I drove my friend's 98 PA and it had this, it really does work well. edit - all the pictures are working for me now. Hmm. I can definitely view other jpgs on photobucket, but not his. As long as you guys can see it. This is awesome! I never knew those other cars came with this feature. Just another of example of how other European companies are all gung-ho about features like this and GM is in the back of the class like "yeah been there...done that..."
Very cool, and it does seem like an easy mod. Great, very interesting feature. 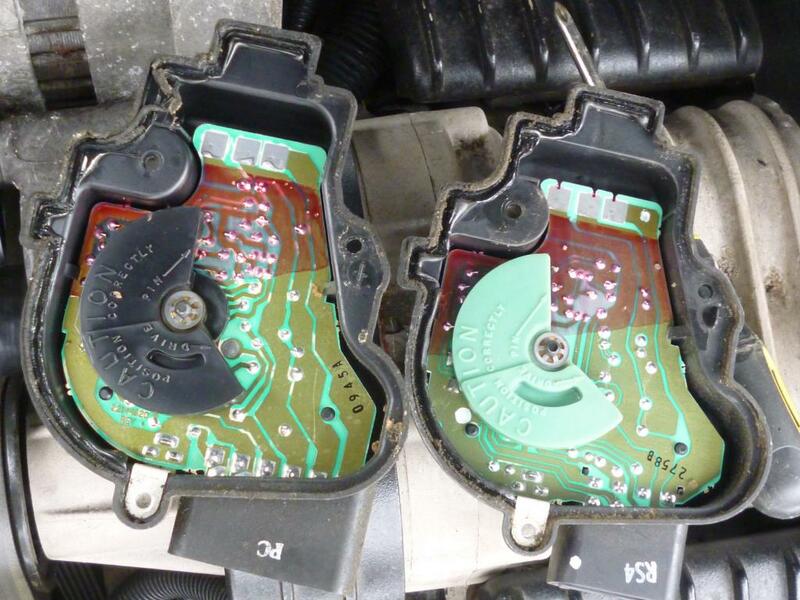 My Volvo XC70 had this option and it worked very well. Look forward to the photos of the sensor on the windshield, and especially how the wiring above the windshield worked out as you describe. 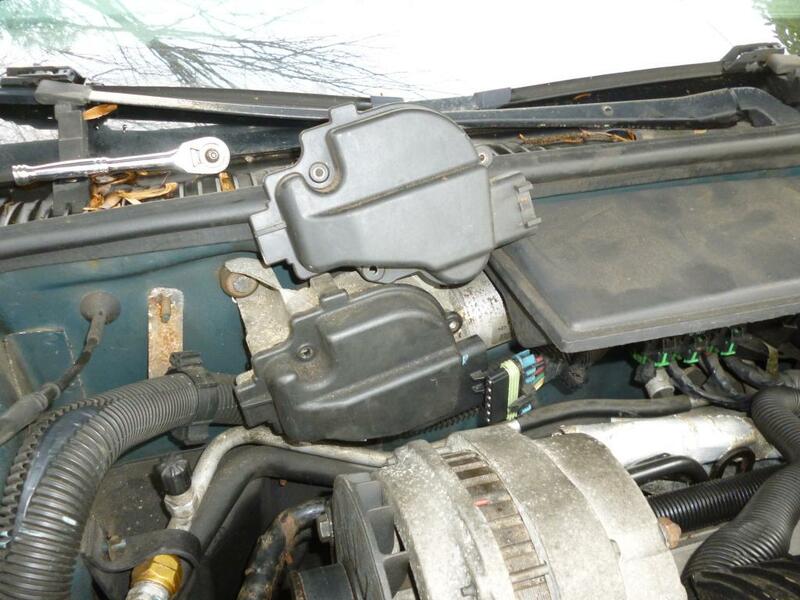 I have some additional photos that show the motor unit, sensor and sensor location on the windshield from the 1998 Cadillac Deville. I'll give this a go in the coming week, but seems pretty straightforward. Thanks for the pics al_roethlisberger, should help others out. One thing to do before you start working is make sure everything works first. In the short time I owned my Riv I never used high speed on the wipers, turns out that spot on the stalk is dead. Wasted a good deal of time troubleshooting a mod that wasn't broken. 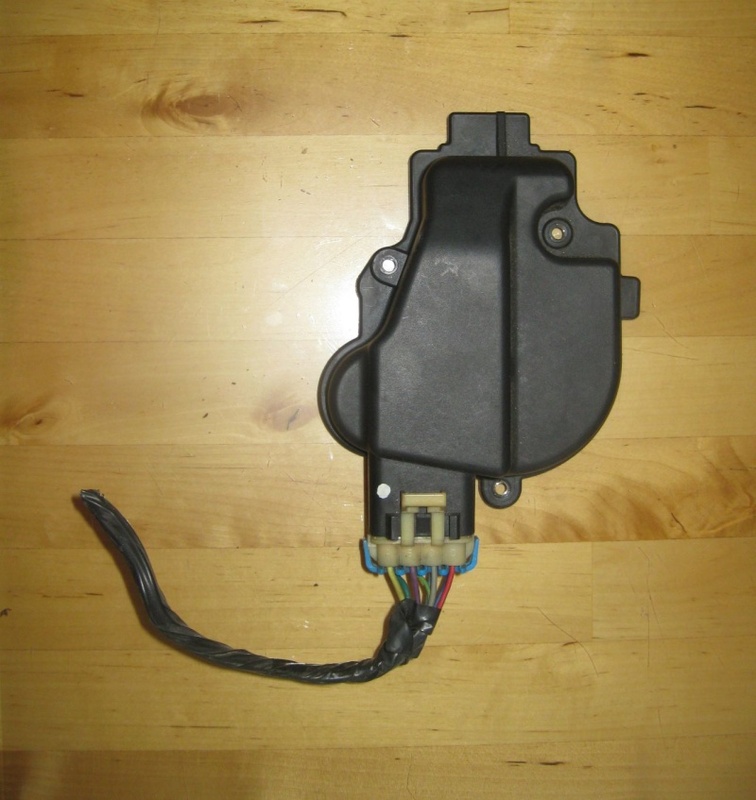 I found the part number for the sensor mounting kit. It's GM 25645365. This kit comes with the solution, 2 pieces of mounting tape, an alignment plate and some cleaning cloths. If you do it right the first shot you can do 2 cars with it The only downside is there is only one primer bottle and it dries out once openend. GM parts giant had the best price on it. 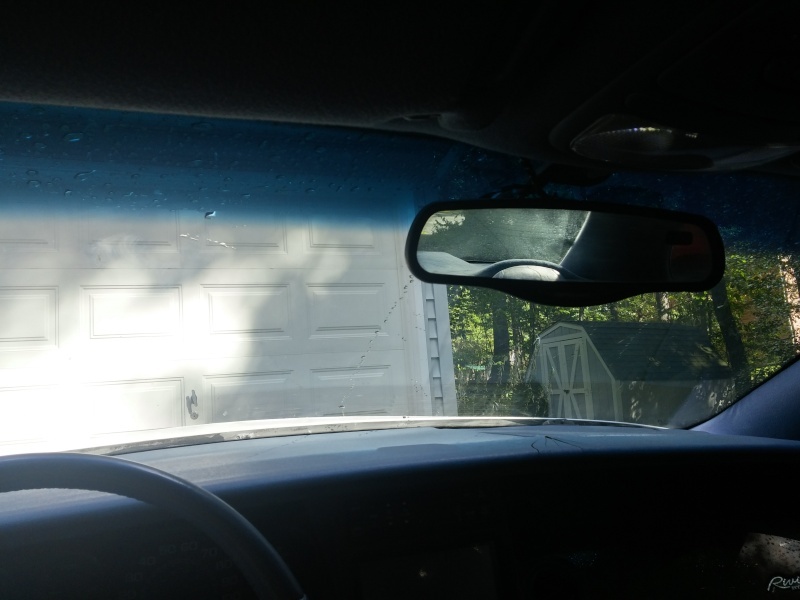 Do the wipers stay in the on position instead of going back to their "hidden" position if you do this? I'm about to go looking for parts but it might be a deal breaker if the wipers don't retract to their "hidden" position. When you shut the wipers off they hide just as before. Whenever it's set to any of the intermittent settings which activates the automatic wipers they do stay out. That seems to kind of defeat the purpose, but alright. If I can piece it together for a decent price I'll do it. That's how it worked on a Volvo I had that had rain sense. If your intermittent setting had the interval too long then the rain sense would wipe more frequently if the rain volume increases. This is still convenient so that you don't have to keep readjusting the intermittent setting. I'm not certain if it works exactly the same on the GM version, but that was how it worked on the Volvo. The way it worked on our '98 Park Ave was that you left the switch in the lowest intermittent position, and the wipers stayed 'at the ready' - in the intermittent park position. If it sensed dirty glass, the wipers would start. Whenever you started the car, the wipers would swipe once to remind you they were on. On the park ave, the 'ready' position was just a few mm higher than the 'park' position, and they weren't hidden, so it didn't make much difference if they were on or not. We just left them on low intermittent all the time and forgot about them. Worked awesome. I would guess on the Riv that they would sit in the 'unparked' position. But you just flick it to 'off' and they go away. thats an option i want. What if we got the whole mirror with it, so that non-compass cars can add that too? Moldy made a video of this. Hitting up the junkyard tomorrow to see if I can snag the stuff to do this. Edit: Got the sensor, only one car there had the right wiper motor and it just would NOT come off the linkage, and I didn't bring the right allen heads to get the module off. Edit 2: Got a motor. Just need the adhesive kit. Module is in, all of the underhood wiring is done. Had to stop because (ironically) it started to rain before I could hook up the sensor and test it. Edit: Found a break in the rain, sensor works great. Just need to run the wires and get the adhesive kit. Final Edit: Ran the wires and everything, works great. Takes about half a minute to go from batshit mode to regular mode. Need to use it regularly to form an opinion on it as a whole. Aaaaaand finished. I'm actually impressed with the adhesive kit, it's really thorough and idiot proof for the most part. It comes with enough stuff to do 2 applications (minus the primer) so if anyone else needs/wants it just toss me a couple bucks, otherwise I'll keep it in case the sensor decides to fall off.